This past weekend, I got together with two of my girlfriends from college to watch our alma mater play football. While we no longer live in the same city, we try to still see each other on occasion. Life has gotten busy. We are aren’t the same college kids as when we met. But no matter how much we change, when we get together it’s like no time has passed. For the game, we decided to have a potluck and just watch it on television as my friend Bre has a little girl, who just learned to walk. Like always, I offered to bring some delicious dessert and a bottle of wine. One problem, they both only really like sweet, white wines. What to bring? Looking through my wine refrigerator, I found only one option as I’m not a big sweet wine fan. So I crossed my fingers that it would appease both buds’ taste buds. Luckily it was a success! 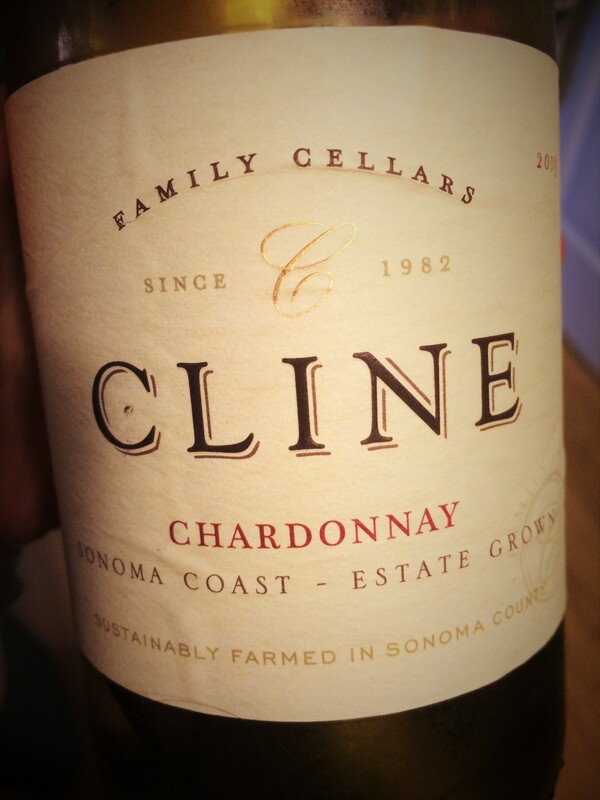 The 2013 Cline Family Cellar’s Sonoma Coast Chardonnay featured sweet aromas of tropical fruit and honey, but on the palate remained fresh with notes of citrus, green apple, and pineapple. The finish was a nice balance between the crispy acidity of the fruit and the vanilla tones of the neutral oak fermentation. One day I’ll get the girls into red wine, but until then stumbling upon wines like this chardonnay that finds a balance of tastes works for me! What wine do you bring when you have guests with varied tastes?